Dungeon Siege III, by Obsidian Entertainment. Recommendation: It's a great RPG for co-op, and it's definitely a fun entry. It's definitely a great game if you love hack and slash action RPGs, it's not great if you want a more in depth story or meaningful skill trees. And if you're a solo gamer, you're probably better served just playing Dragon Age or Skyrim. 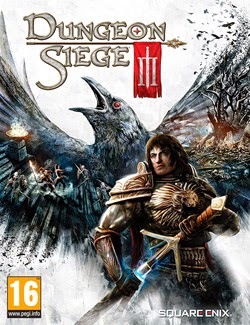 Dungeon Siege III is a game that I finally played because I was looking for a co-op RPG to play with my girlfriend. For those of you keeping score at home, I've already reviewed Dungeon Siege and Dungeon Siege II. And both of those games were mainstays when I was growing up. However, I was keenly aware that the first game was nothing like the second, so I was hesitant to pick up the third, fearing that it was yet another (possibly misguided) direction. It is once again a completely different game. Still an RPG, yes, but radically different than it's predecessors in nearly every way. The setting returns to Ehb, the same as the original, and you visit the tombs of several of the heroes from the first game, but otherwise the gameplay itself is unlike anything that came before it. It's a simplified RPG, which rather than having true classes just has 4 pre-built characters. They can roughly be put into standard Warrior, Ranger, and Wizard classes, but it's unimportant. Each character has 2 styles, one good for groups, and one good for single enemies. The method through which they do that fighting is quite inconsequential. The mage has some less health, depending on what's equipped, but frequently he would outlive the warrior during battles, so there really isn't a whole lot of standard class strategy in the game. There are several skills that depend on fighting stance, and you unlock all of them during the gameplay, choosing to level up only a portion of them. There are also several character attributes you're able to enhance through leveling up. There was also a feature that allowed you to master a skill, letting you use a buffed up version of it after you'd used it enough in the game. 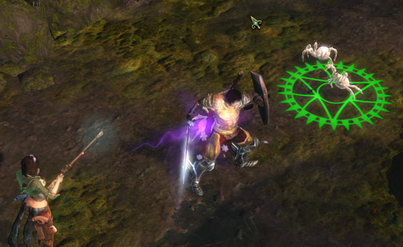 All in all, while I dislike losing the skill tree from Dungeon Siege II, this was very satisfying. I used all my skills regularly (although playing as the warrior I trended towards the two handed stance, and therefore the skills attached to it). And the loot helped enhance your character along the way, making me a force to be reckoned with late in the game. There were a few mechanics that I wasn't fond of, however. As I said, this was a good entry for co-op, but the game is built around a main character, with the others joining in. I chose the warrior, so I was playing as his for 100% of the game. My girlfriend, as the joiner, chose which of the other 3 characters to play. Dropping in and out was fairly easy for her, but she also has to frustratingly choose her character every time she joined. Also, by having a friend play with you, you end up losing some cutscene continuity because you don't necessarily see when party members are supposed to join. This happened with her first character, where we never got to see her proper introduction in the storyline because she was playing with me from the beginning of the game. And finally, when you play by yourself you can choose to have one AI companion with you, leaving the other two out of play. This is the same with a human companion, it was just the two of us. I believe, however, that if you had other people with you, you could indeed have all 4 playing together at the same time. Which means, the game is infinitely easier if you play with 4 humans. The option does exist for xbox live gameplay, I believe, but as someone who is not a fan of playing with strangers frequently (and what if I want to play offline?) the fact that the other characters could not join as AI really bothered me. Although, to be fair, if you have a girl who shoots fire, who else do you really need? So, those were not deal breakers, but they definitely hurt the experience. The storyline is a bit cheesy but it has some nice twists and turns and it felt like a self-aware classical RPG, so I was okay with it. I found myself enjoying it as I played the game and I was satisfied at the end. It was a quality game. I'd recommend this as a good co-op game, especially because of the easy drop in/drop out functionality, but sorting through the piles of loot was a little frustrating with a partner on the couch. You'll want to set up a system where you only look at loot every 10 minutes or so if you want to avoid frustration. But if you're a solo gamer, I don't think this will be quite as satisfying, and you're probably better served playing a game like Skyrim or Dragon Age, both of which will not be much more expensive than this. By the way, there's one siege at the end. 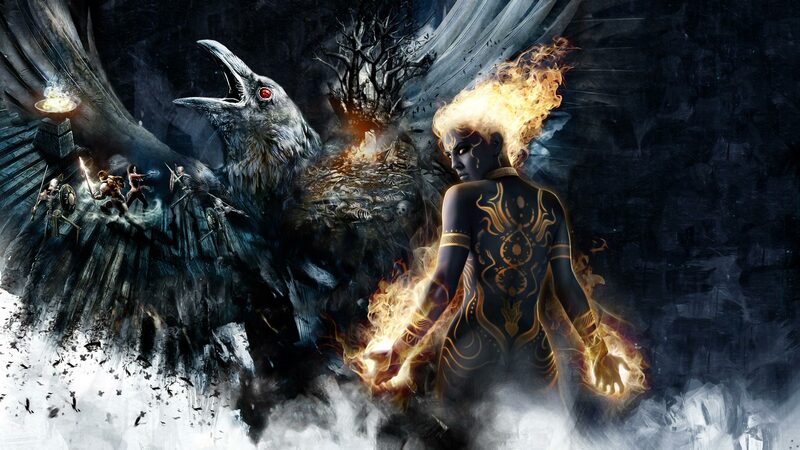 Let me know what you think of Dungeon Siege III!